Bring an offer! 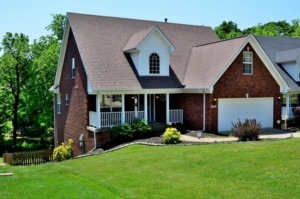 Welcome home to your 4 bedroom, 3 1/2 bath with recently finished walkout basement. The cozy front entrance invites you into the formal dinning space, or through the foyer the vaulted living room with fireplace awaits. The living space is open to the kitchen with custom cabinets and newer tile backsplash. The first floor master suite will please any homeowner with a spacious bathroom offering a jetted tub and separate shower. Upstairs you will find 3 large bedrooms (one a bonus room) and full bath. The finished walk out basement is perfect for a family or entertaining guests with the wet-bar and another full bath. Click to schedule your showing.